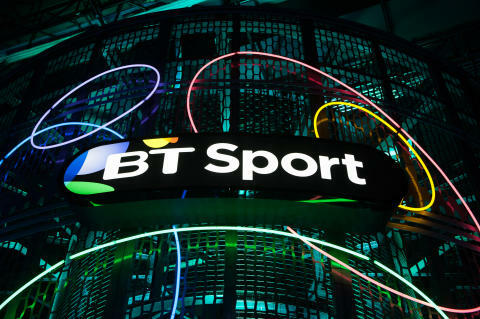 BT Sport Score, the football results show, will be available to anyone using Twitter in the UK, following an agreement between the sports broadcaster and Twitter for it to be live streamed on the platform. The agreement allows Twitter’s millions of UK users to sample a key highlight of BT Sport’s weekend line-up at no cost – providing potential subscribers an opportunity to sample the broadcaster’s approach. It is the latest move by BT Sport aimed at making its content available as widely as possible: BT made last season’s UEFA Champions League and UEFA Europa League finals available for free to as many people as possible, on YouTube, the BT Sport website, BT Sport channels and the app, underlining BT’s commitment to make televised sport more accessible to fans. The show will be streamed via @btsportscore on Twitter each Saturday afternoon. With coverage typically starting on Saturdays at 2.30pm, the show is presented by Mark Pougatch, plus Jules Breach, and features a host of BT Sport pundits including former Celtic striker Chris Sutton, former Spurs midfielder Jermaine Jenas, former Wales international Robbie Savage and former England international Rachel Brown-Finnis. BT Sport Score will still be broadcast on BT Sport channels every week. The programme keeps viewers up to date with the action from all the matches taking place across the UK. Live football will continue to kick off on BT Sport channels at 12:15pm on Saturdays with a match from the Ladbrokes Scottish Professional Football League (SPFL) or the Vanarama National League. BT Sport’s live Premier League matches broadcast on Saturday evenings with Jake Humphrey follow BT Sport Score.